Glenmark Pharmaceuticals has been caught off-guard, in view of the brewing controversy surrounding the laws of patent diplomacy in India. The blow came to them from the supreme judicial authority of India, directing the company to halt the production and thus, limit over the counter transacting of its anti diabetes drug, Sitagliptin, with immediate effect (until notified further). The Supreme Court’s order, however, allows the company to sell its existing stocks, which comes as a strong relief measure to stabalise the supply-demand ecosystem in India. This order comes in the light of legal application, first courted by the US-based Merck in 2013- which holds a patent on the drug, Sitagliptin. Merck has recently put forward the argument in wake on sustaining considerable monetary loss; since the sale of generic version of type II diabetes drug was much lower priced than the patented version. Going by the earlier reports, Glenmark sold its drugs, branded Zita and Zita-Met, cheaper by more than 30% than Merck’s Januvia and Janumet, amounting to an annual savings of Rs 5,000 for the customers. Sun Pharmaceutical, the Indian pharma company, is the legal advisory for Merck’s authorized entry into the Indian market, for making and selling Sitagliptin here. 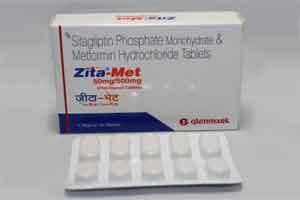 These highly acclaimed drugs are sold under the brand name Istavel and the sitagliptin-metformin combination under the brand name Istamet. Sun Pharma has also put forward its legal foot into the patent argument, being pursued by its parent company in the court. The long-standing equation between the Indian government, the US and Europe counterparts, has seen some turbulence in the recent past. India’s stubbornness to refuse to succumb to the patent pressure by foreign pharmaceutical companies has been a clear point of friction between the high, and the mighty forces. India is a lucrative market, however, it has been arguing on the foot of sustaining affordable healthcare system in the country. The governments in the US and Europe, continue to share their disappointment on India, failing to adhere to global intellectual-property rules. Hence lot of unwarranted legal battles in the courtrooms in the recent times. The stay order was passed by an SC bench headed by Justice Ranjan Gogoi, restraining Glenmark from manufacturing and selling Sitagliptin. The “primary concern to balance equities between parties while maintaining public interest, which will be best served if the existing stock of Zita and Zita-Met is allowed to be sold in the market, which, according to the petitioner (Glenmark), itself can take care of the current demand in the market by November 2015.” The court added: “…we are of the view that the unfinished formulations of sitagliptin phosphate monohydrate (SPM), which is to be processed in the petitioner’s factory, will not be undertaken …until the next date of hearing” on July 22. The claim of Indian companies, of slight change of composition of the medicine, has not gone down well with the foreign companies. In this case, Merck claims to be the sole proprietor, having invented sitagliptin, used in its anti-diabetes drugs, and has claimed patent over the molecule. Glenmark, however, continues to safeguard its interests, contending the very basis of the litigation; that it has used sitagliptin phosphate in its anti-diabetes drugs-Zita and Zita-Met-and the US firm has no patent right over this salt.